Dr. Palani is known as a leading dentist, and is at the forefront of Cosmetic and Implant Dentistry, he is proud of the education that he received at some of the world's most outstanding medical facilities, and that his education is to the benefit of his patients. Dr. Palani graduated from Marquette University School of Dentistry and then completed a rigorous Hospital Dentistry Program at the world renowned Cedars-Sinai Hospital in Los Angeles, California. From this program, he was able to learn from and work with some of the top Oral Surgeons, and Cosmetic and General dentists in Los Angeles. Holistic Dentistry is an important aspect of Dr. Palani's practice. This way of thinking is based on the understanding that the mouth is connected to the rest of the body, therefore disease in the mouth can affect other body systems. 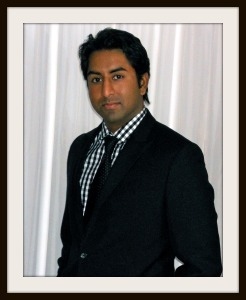 Dr. Palani uses the most biocompatible materials and his office is environmentally friendly. His unique treatment plans are customized to your needs, and may include a package of: herbal toothpastes, vitamin complementation, gum conditioners and co-enzymes, as well as exercise, relaxation and nutritional counseling, and behavioral therapy. Dr. Palani is a firm believer in compassionate care of the highest quality. Our office offers a full range of dental services at one location. Saturday and evening appointments are available. If you have any questions or concerns, Dr. Palani encourages you to contact him directly by email or stop by the office. Dr. Palani always encourages an open dialogue between patients and the office. With these lines of communication open, the best results may be achieved. "I am committed to providing you with the absolute best dental experience you have ever had. From your very first contact with our office staff you will be treated with respect, compassion, comfort and integrity. Your health and safety is my #1 priority. I am committed to excellence in everything I do. In my practice, perfect results 100% of the time is the standard of care not a luxury. I strive to help all my patients have a healthy and beautiful smile, and ultimately a healthy and beautiful life. That's the bottom line…"